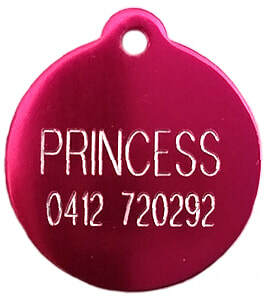 with glitter enamel in pink, blue or purple. Made from chrome plated zinc alloy. 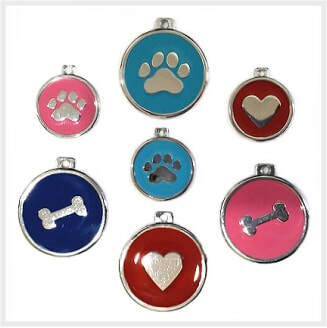 ​Choose from hearts, bones or paws in a brightly coloured enamel. 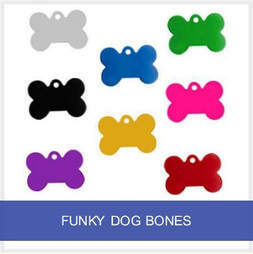 Funky bone stainless steel tag with glitter enamel, engraved with name and phone. 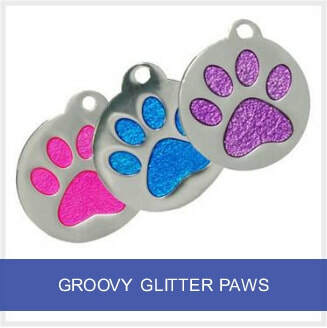 Stainless steel tag with groovy paw. Engraved with name and phone number. Funky dog bones in 7 metallic colours. 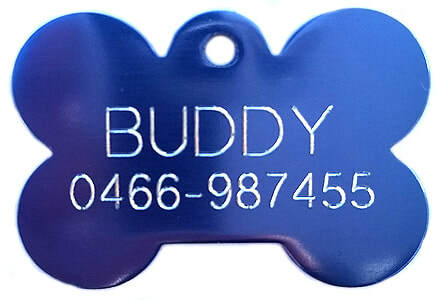 ​Premium quality tags with anodized edges. 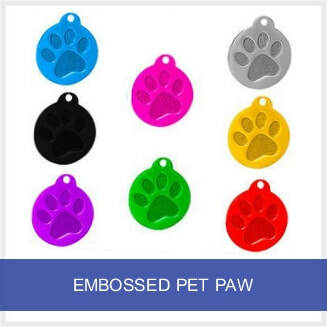 Embossed paws in 7 metallic colours. 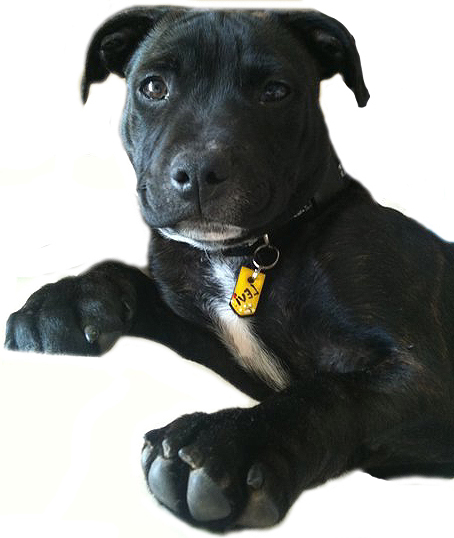 we have decorative pet name tags. a resin seal to protect the artwork. ​ please make a selection from any of our engraved range.